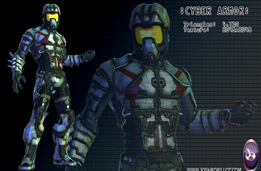 3D Characters - Cyber Armor: Click the thumbnails to see larger images. 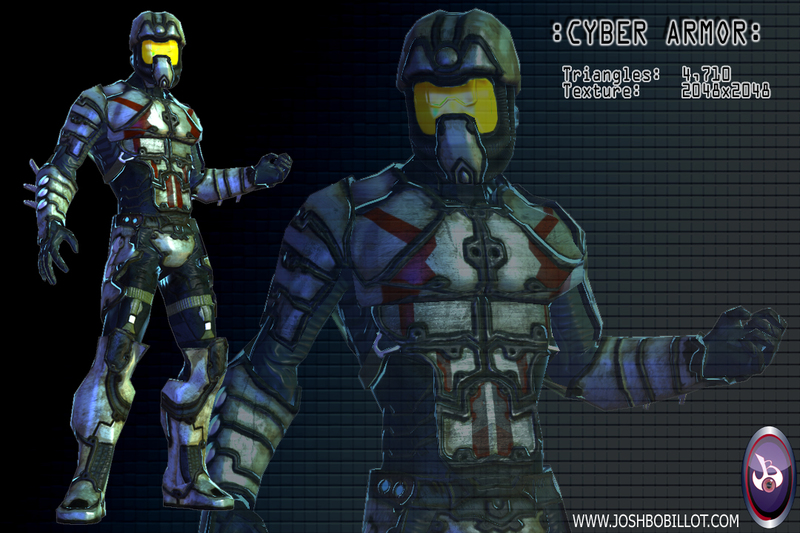 This character started out as a drawing of a soldier from the future, I decided to build him as a 3d character. 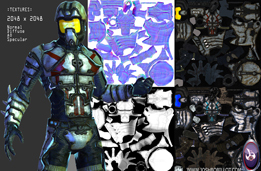 This shows my original concept drawing, 3d model, high res sculpt, and texture maps. 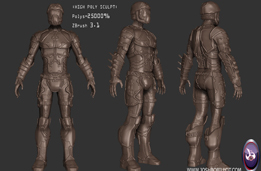 I used 3ds Max, Zbrush and Photoshop. 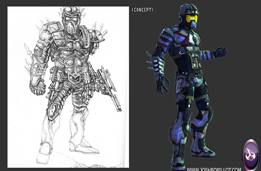 I decided to streamline his armor and not make him as bulky as my concept, as I wanted a more stealthy look to him. 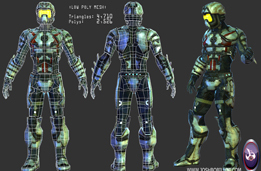 In 3ds Max I used biped and rigged him for posing. I used a Direct X real time shader in the view port to simulate a game engine and get the final lighting and views of the character. 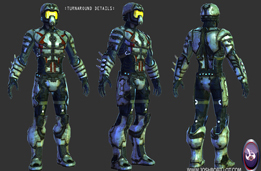 His armor has a cloaking device built in and I used the lighting to give it a high tech blue glow to suggest the cloaking mechanism.